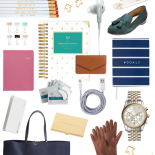 Another day, another gift guide! How’s your holiday shopping coming along so far? 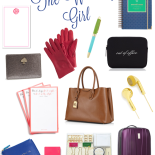 Today’s gift guide is all for the working girls on your shopping list! Lots of useful gifts, a few notes on what I’ve been using to stay productive lately, and some cute ‘just because’ things, too… Enjoy! I’ve been using this Productivity Planner the last few weeks and it’s been game changing! Truly a must have, especially if you’re like me and always have an overwhelming mile-long to-do list. The planner is not dated, so you can skip days where you’re traveling or don’t use it without wasting a page. It simply focuses on 3-5 major tasks for the day (in order of importance) so you don’t get caught up in the small things throughout the day and avoid that “What have I actually gotten done today? !” thing. The trick is to focus on one task at a time, before moving to the next. It also emphasizes the Pomodoro Method, which is always insanely effective for me! Speaking of Pomodoro, I usually just use the timer on my iPhone for the 25 minute segments, but as someone who hates having my phone on my desk during the day (hello distractions! ), I’m absolutely LOVING this sand timer set. How cool! Adding it to my Christmas list ASAP. I got a popsocket a few weeks ago and it’s also been a game changer for when I’m getting sh*t done on my phone… It makes holding the Plus so much easier! And for those sleep-deprived gals (raising hand! ), I absolutely love these Rodial eye patches for perking up my peepers in the AM! When I was grabbing the link, I saw that they now have neck patches for the dreaded “Tech Neck.” You know, those lines that we have from always looking down at a device? The worst! I just ordered a pack, I’ll report back! Also, if you haven’t checked out the new Tory Burch ToryTrack watches, look at this video. Looks pretty awesome! Be sure to check out The Holiday Shop, where you can filter gifts by both recipient and dollar amount! 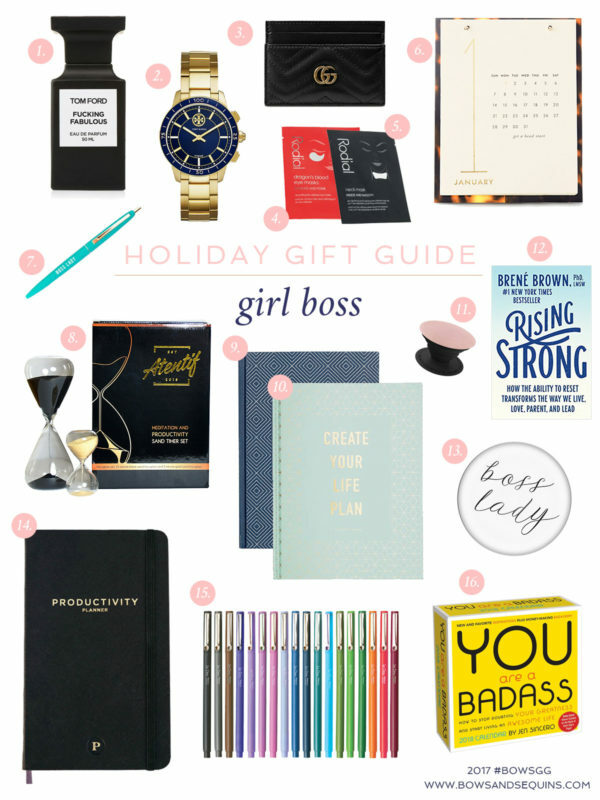 If you need to reference back, you can always find all of my gift guides here!